ModPo moves on at a furious pace – a bit too fast for me! 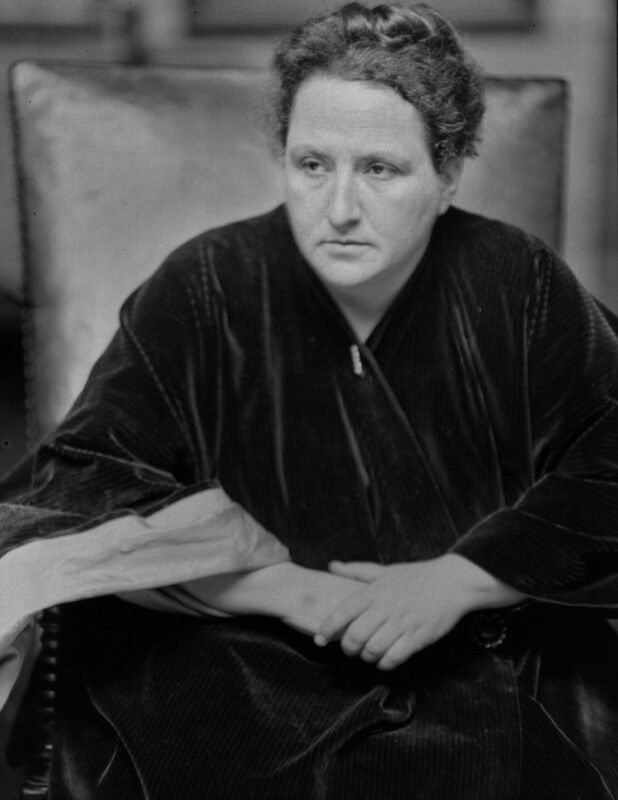 Week 5 has started (with the theme of Anti-Modernist Doubts), but I am still thinking about Week 4 and Gertrude Stein – and what I can learn from her about teaching and learning. Of course, this was not her objective. According to one of the poets who presented with Al Filreis in the great live webcast this week…. ….. I think it was Rachel Blau DuPlessis – Stein was the total proponent of discovery. ‘She was not concerned about the future and her legacy, instead her focus was on the excitement of an opening present’ – how refreshing. But despite this I think Stein has a lot of messages for teachers and learners, never mind poets and authors – so a legacy in spite of herself. I will try and gather my thoughts into some sort of order, although in doing this I contradict my first point and Gertrude Stein! 1. Thinking spatially, instead of linearly. A ModPo participant phoned in to the live webcast to say that last year she couldn’t make sense of Stein’s work. This year she had an ‘epiphany’ when she realized that Stein’s work cannot be thought of linearly – she realized she had to think of Stein’s poetry in terms of spatial relationships. According to one of the guest poets (apologies for not remembering who) Stein’s work proceeds rhythmically. Her writing is very clear but very abstract. For Stein the continual present is what is important – things don’t add up. For me thinking spatially instead of linearly describes the learning process. We like to think we are working through a curriculum/syllabus linearly, and pretty much everything in education is presented to us in this way (even ModPo!) – but in fact our learning, even the learning of very small children, does not proceed in a linear orderly fashion, but goes forwards and backwards and from side to side – in fact in every direction. 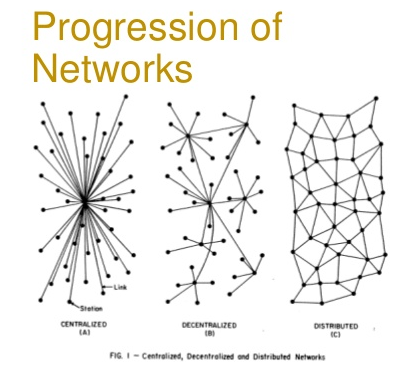 This relates to Stephen Downes’ thoughts about learning being the recognition of patterns (connectivism) and Dave Cormier’s work on rhizomatic learning. There is also a video in which we can see how she goes even further than Picasso. The video puts her poetry to dance (which relates to the point I make about embodied learning below). (This video has been made private, since I initially wrote this post). For Stein each word was an event. Any word in Stein’s work is a frame. It could mean a lot of different things. Learning in MOOCs has exposed us to a greatly increased number of perspectives in terms of the people we could come in contact with (34 000 in ModPo), than was possible in the small classes and limited access to texts of the past. It is interesting to think of the different ways in which learners can be exposed to multiple perspectives and the effect of multiple perspectives on learning. For Stein it was about liberation from traditional ways of thinking and writing – putting her mind through a different way of thinking. Stein was seeking a new kind of community and meaning making. She embraced the unfamiliar riskier space. Learning is not always ‘safe’ . Stein paints poetry and writes poetry as music. It was suggested in the webcast that she uses words for self-pleasuring – a form of intellectual eroticism. She plays a game with herself, not a game with us – enjoying the mechanisms of her mind – pleasuring herself – enjoying herself. Stein threw herself into her world of words as Jackson Pollock threw paint onto a canvas. There is more, much more, I could learn from Gertrude Stein, but I want to keep up with the linear flow of the ModPo syllabus 😉 – so I’ll have to come back to Stein another time. Would Stein have been a ModPo participant? I wonder. Maybe too linear for her? In the last few months the number of published research papers, which focus on MOOCs has significantly increased and this looks to continue. In June the Journal of Online Learning and Teaching published a special issue on MOOCs – and this included a paper that I worked on with colleagues from Oxford Brookes University. University of Texas Arlington December 5-6, 2013: MOOCs and Emerging Educational Models: Policy, Practice, and Learning. It is in the most recent issue of JCal that perhaps one of the most interesting articles from this whole list has emerged – a critique, or perhaps more accurately a criticism, of connectivism. 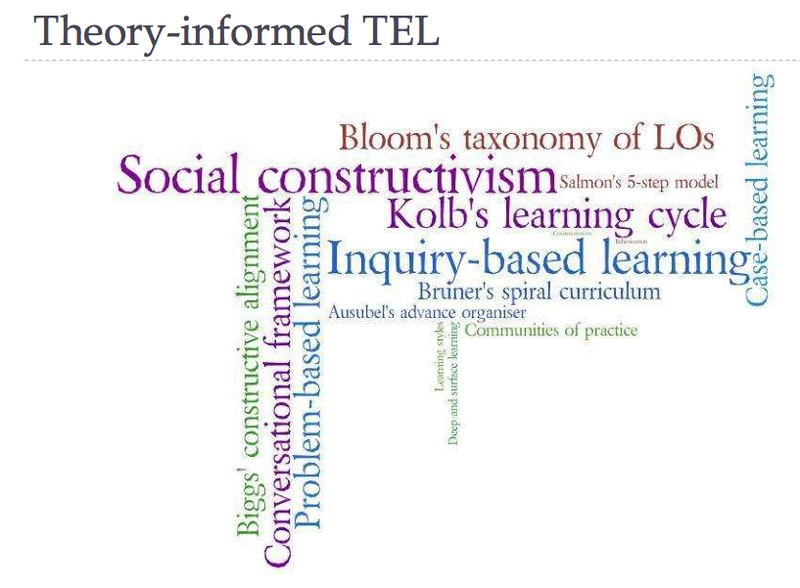 Connectivism is the proposed learning theory that started off this MOOC ‘tsunami’ (as some have called it), although I wonder if all those who convene MOOCs know about connectivism. But Clarà and Barberà think they do. Clarà, M. & Barberà, E. (2013). Three problems with the connectivist conception of learning Journal of Computer Assisted Learning. This was published within days of the Clarà and Barberà article appearing in JCal, for free, on his blog. So it’s worth remembering that high quality writing about MOOCs and MOOC issues will not always be in journals or conference papers, open or closed. Frances Bell’s comment about connectivism – below (see the link to her 2011 article) – and the number of times this post has been tweeted has made me think that it might be useful to mention a couple of other sources of MOOC research. And this year – again in IRRODL – Tharindu Liyanagunawardena et al. published a systematic study of MOOC literature 2008-2012. So whereas in 2008, there was virtually no literature to draw on when writing a paper about MOOCs, there is now more and more. As noted above, not all quality writing about MOOCs and connectivism is in published journals. A good place to start to find out what is not, is on Stephen Downes’ website. See Posts about MOOCs.